Over 175 guinea pigs were dumped at Baldwin Park Animal Shelter in Los Angeles by a pet hoarder earlier this week. Many of these abandoned pigs are sick, pregnant and suffering from malnutrition. And that's not all - the shelter is expecting additional cavies to be brought in by the same individual. Three nonprofit small animal rescue organizations have come together in an effort to save all the guinea pigs. There are concerns that the high-kill shelter is ill equipped to deal with pigs in general - let alone in such staggering numbers. However, the needy piggies aren't out of the woods yet. Rescues depend on the support of volunteers and animal lovers to medically treat, rehabilitate, and re-home neglected animals. Due to the overwhelming number of critters, the nonprofits are currently short on resources and manpower. These rescues could really use your help! Foster some piggies. If you live near Orange County Cavy Haven (Orange County & Los Angeles, CA), Wee Companions Small Animal Adoption (San Diego, CA), or Arizona's Piggie Poo Rescue (Phoenix, AZ) and are able to provide some much-needed TLC for a few pigs, please contact one of these rescues. 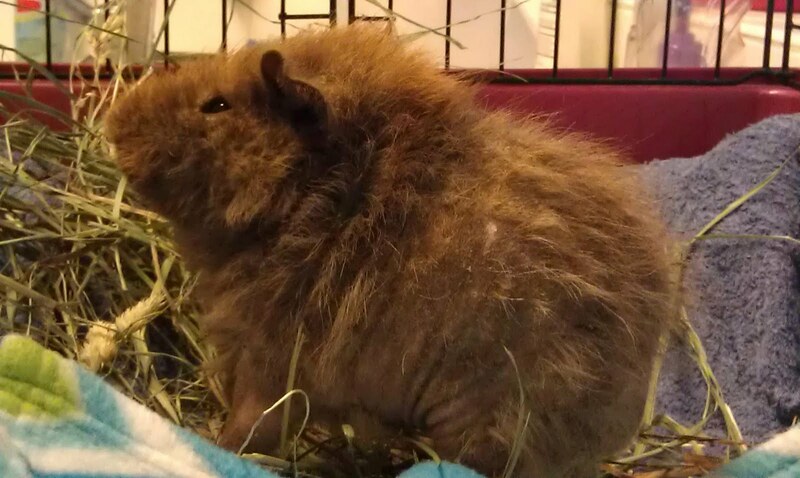 Donate to one of these guinea pig rescues. With so many critters to take care of, vet bills and medication costs are bound to be high. Any donations would be greatly appreciated. Many of these pigs need medical attention but can be wheeking and popcorning in no time with some treatment, food, love and care. Donate supplies. Essentials such as alfalfa hay, timothy hay, water bottles, ceramic food bowls, timothy pellets, and Oxbow's Critical Care are needed. Liquid Vitamin C, syringes and heating pads will be necessary to treat sick cavies. Cages, bedding, pigloos, huts and litter pans to house everyone would also be greatly appreciated. Here are links to OC Cavy Haven's Amazon wishlist and Wee Companion's wishlist. Spread the word. The more people that know, the better... whether they are interested in fostering, adopting, or even just donating to help these piggies in need! Dare not watch the videos. Thanks for the info- love that even on the other side of the world I can help via donating.